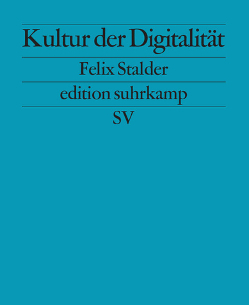 I'm very happy my new book (a translation of Kultur der Digitalität) has just been published by Polity Press. 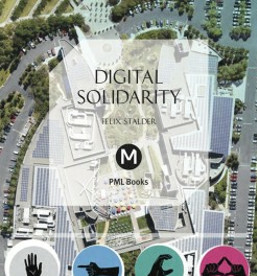 In the book I argue that referentiality, communality, and algorithmicity have become the characteristic cultural forms of the digital condition because more and more people – in more and more segments of life and by means of increasingly complex technologies – are actively (voluntarily and/or compulsorily) participating in the negotiation of social meaning. They are thus reacting to the demands of a chaotic, overwhelming sphere of information and thereby contributing to its greater expansion. 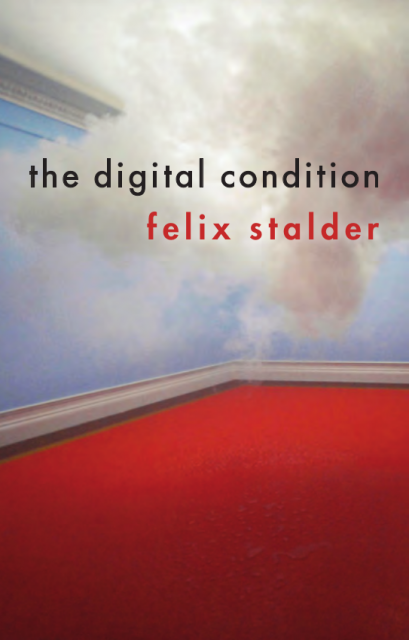 It is the ubiquity of these cultural forms that makes it possible to speak of the digital condition in the singular. You can get it from the publisher (UK, US), from Amazon (UK, US), or you local bookseller (UK, US). The great cover image is by the Dutch artist Bernaut Smilde, from the series Nimbus, Probe #6, 2010. In a review for the British Computer Society, Mick Phythian gives the book 8/10 points. 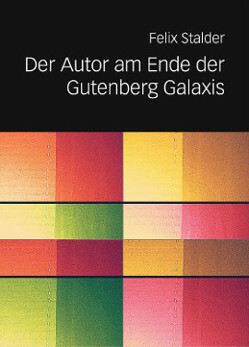 "This book combines the scale and depth of Manuel Castells's research, with that astonishingly revealing vision of a Zygmunt Bauman," writes Pau Todo in his review on Good Reads. Vor 15 Jahren lancierte Mark Zuckerberg Facebook, damals noch thefacebook, als Netzwerk für Studierende der Universität Harvard. Heute nutzen knapp 2.7 Milliarden Menschen seine Services. Und seit 15 Jahren betont er gebetsmühlenartig, dass «connecting» und «sharing» die Welt besser mache und dass Facebook für den epochalen Übergang von unterdrückenden hierarchischen Bürokratien hin zu befreienden horizontalen Netzwerken stehe. Mit dieser Behauptung steht er heute ziemlich alleine da. Zum einen ist Facebook Inc. heute selbst zu einem übermächtigen, intransparenten Konzern gewachsen, der sich bis heute 72 Firmen einverleibte, darunter Instagram (2012), WhatsApp (2014) und und den Virtual Reality Entwickler Oculus VR (2014). Zudem sind die Besitzverhältnisse sind so strukturiert, dass Zuckerberg fast unbeschränkte Macht ausüben kann. Zum anderen wird Facebook beschuldigt, der Verbreitung von falschen oder manipulativen Informationen Vorschub zu Leisten und so zur Spaltung der Gesellschaften und zur Intensivierung von Konflikten, etwa in Grossbritannien, in Sri Lanka, in den USA und in Myanmar beizutragen. Wie konnte eine eine harmlose Idee – Menschen sollen einfach und schnell mit ihren Freunden und Bekannten kommunizieren können – eine solch destruktive Kraft entfalten? Die Antwort darauf ist weniger in der Idee der horizontalen Kommunikation selbst oder in den digitalen Medien im allgemeinen zu finden, sondern in der spezifischen Art und Weise, wie Facebook diese Idee umsetzt. Although “technology” per se is still perceived as neither a good nor bad thing -but only a mean to an end-, it’s increasingly evident that Internet, its uses, tools and infrastructures are carrying on with them not only political consequences of critical importance, but also an entire cosmovision of metrics and efficiency. We open the event with the above stated question with the hope of peeking through the armoured glass walls of “political neutrality” and “unregulated & neoliberal” truisms that seem to protect Technology and the Internet from any critical civic examination. How Big Data and Algorithmicity shape and influence the politics of Internet? Are algorithms pure mathematical operations devoid of ideology, or is the very attempt of eliminating subjectivity also a form of politics? Is there any ethical contradiction in using tools manipulated by algorithms to organize and take political action? Are Facebook and Twitter a good place to build a political debate? How technology affects the political debate on the media and the civil society? “Find the File” (Mar 21 – 24, 2019) at HKW, Berlin is a discursive music festival on the questions: How is music collected, preserved, selected and reactivated today? 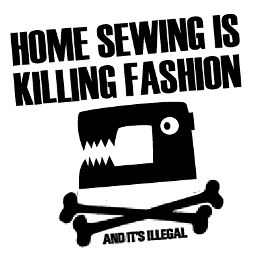 What do collections and archives represent? And what can be found in them? We are proud to contribute “Artistic Shadow Libraries”, a new video work by Cornelia Sollfrank based on interviews we conducted during the research process of "Creating Commons". Künstliche Intelligenz (KI) ist in aller Maschine – so könnte man meinen, wenn man sich die aktuellen Debatten anhört. Auf jeden Fall weitet sich das (autonome) maschinelle Handeln in beinahe alle Gesellschaftsbereiche aus. Es hat längst auch die Kunst erfasst. 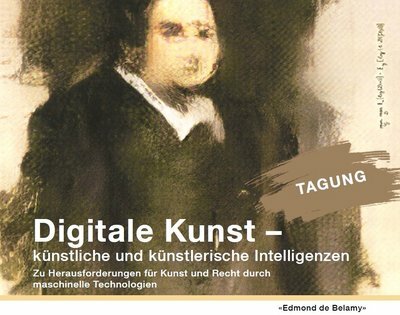 Es geht dabei nicht mehr nur um mittels digitaler Technologie hergestellte oder transformierte Kunstwerke, sondern grundlegend um «Maschinen als Autoren». Dies lenkt die Diskussion über die Autorschaft in eine zusätzliche Dimension und fordert das Urheberrecht grundlegend heraus. Ist aber dieses von KI – oder nüchterner gesagt: von Algorithmen – Erschaffene bestenfalls eine «hingebungslose Ausdrucksform»? Oder lässt es sich doch mit einem auf menschlicher Kreativität basierenden Werk vergleichen, dem eine Authentizität und Aura zugeschrieben wird? Und wie geht der Kunstmarkt mit dieser «Robot Art» um? Solche Phänomene beschäftigen gleichermassen Theorie und Praxis in Kunst und Recht. Denn es geht – erst recht im Zeitalter der KI – um Autorschaft, Authentizität sowie das Verhältnis von Original und Kopie – und schliesslich um die Frage, was ein «Original» unter diesen Vorzeichen sein kann. 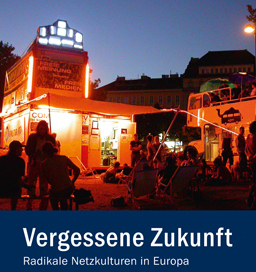 Die Tagung befasst sich mit diesen Themen aus Sicht der Kunsttheorie und Kunstpraxis, beschreibt die Relevanz im Kunstmarkt und diskutiert die neuen Herausforderungen aus Sicht des Urheberrechts. From the linguistic development of so-called Artificial Intelligence to the decentralized structure of the blockchain, new technologies operate on the basis of training sets, into which are inscribed prejudices, world views, material infrastructures, and ownership logic. To what extent do the metaphors of intelligence and learning apply to the new technologies? Who writes the protocols of algorithmic infrastructures and on the basis of which semiotic and semantic processes do they operate? Where do the opportunities for emancipation, self-determination, diversity, and decentralization lie within the realm of technological development? To what extent does it make sense to renounce the quest for meaning in the technological development of language, and what kind of algorithmic poetry does this engender? Taking as reference the work of Luc Steels, one of the world’s leading AI developers, artistic and activist positions are deployed to explore the development of technological language. HKW, AUDITORIUM 5:30 P.M. – 6:00 P.M. 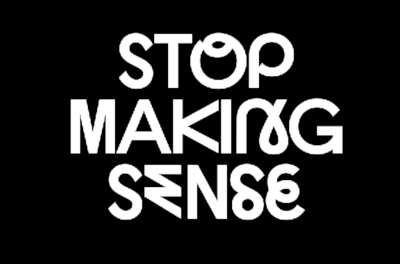 This text was written as a contribution to the workshop Public in the Making, 18-20 October 2018 İstanbul, part of the project Trans making: art, culture and economy to democratize society. A well layouted PDF is also available. Thanks to Fatih Aydogdu for the invitation. Democracy, even in its most rudimentary definition, contains two elements.1 The first is that of public deliberation and contestation of the issues affecting the “demos” (the people) as a collectivity. The precondition here is the availability of an easily accessible, shared space in which different opinions and attitudes can be expressed, compared and peacefully fought over, as a way for the members of the collectivity (the “citizens”) to form their opinions and plot out diverging futures. The second element allows to express those opinions and interests in a way that leads to a decision regarding the future that is binding for, and accepted by, all. Usually, this is done by voting either “yes” or “no” to a specified proposal for action, or by selecting representatives from a group of pre-selected candidates, often, but not necessarily, organized as political parties that stand for competing visions of the future. If the first element is weakened, voting is transformed to a ritual of submission and propaganda in the machinery of dictatorship, if the latter is reduced, democracy turns into post-democracy where issues are debated but decision making is outsourced to “experts” or “the market” (Crouch 2004).